When it comes to crossing the border, things are a bit tighter than they were prior to 9-11, but trucks and merchandise and people move across the border every day. It involves a bit of preparation, but it is not a big deal. 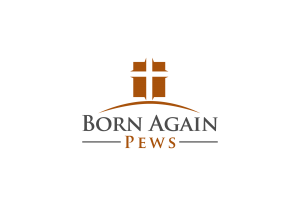 This page is here to help with some of the details, but you should contact US Customs at 202-354-1000 if bringing pews into the US, or Canadian Customs (204-983-3500 or 506-636-5064 or if in Canada you can call toll free 800-461-9989.) if you are entering Canada. The BEST WAY is to rent a U-Haul truck (or Ryder or Budget Trucks) and truck them yourself. Note: You can rent a U-haul in the US, load it with pews, and take it to Canada, but you cannot do a round trip and bring it back to the US. You would have to make another rental in Canada, so the better way is to tow your car behind the U-Haul and drive it back. Same is true if renting in Canada and driving into the US. You cannot drive it back across the border (something to do with paperwork) so it is better to tow your car, or get airline tickets back. If you are bringing wood (or padded wood) church furniture (that has been made in Canada, the US or Mexico) into the US from Canada, there are no forms, no tax, no duty. You need to accompany the furniture. There may be a $5 fee at the border. You should have a letter on church letterhead from both churches stating that you are buying pews in a church-to-church transaction and moving them. UPDATE: Apparently pews are not commonly moved across the border, so they are not in the “official book” of rules. A recent church found it helpful to pay a broker ($140) to help. They suggested contacting a border broker before arriving. However, they also indicated that the Border folks told them that if the pews had been under $2000 they would not need a border broker. It seems that the rules vary by interpretation and by who is at the gate on the day you arrive. (Pray first). Regular rules about crossing the border apply…. Here are some places to review info…. This gets a bit trickier, but still no big deal. Again, we recommend U-Haul or Ryder. You will need to get and fill out a Form B-3, available at the website Canadian Customs. If you are uncomfortable with filling out the forms you can get a Customs Broker to do it, but it is not necessary to have a customs broker. Here are the instructions for B-3. There is NO DUTY on moving church pews. There is NO PST (Province Sales Tax). However the furniture is subject to the GST (goods and services tax) which is 7%. And it should state that there is “no commercial consideration”, and give the name, address, phone, info of the church where it is going in Canada. It would also be good to have a letter from that church stating the same things, on their letterhead. Again, the rules state: donations by non-residents to religious, charitable or educational institutions in Canada are not subject to duty or the GST. So, outside of a bit of paperwork it is not a big deal. We hope you will feel free to cross the border, and share in Christian service with your brothers and sisters to the north or south. Disclaimer: This information is presented as a guideline and has been gathered from the web and by us calling US and Canada customs. It is subject to change and you should contact the Customs office of the country you are entering for the latest information. What Do I Need to Know to Travel to Canada? The following only applies when traveling directly from the U.S. to Canada! A US citizen will be required by the Government of Canada to prove that he/she is a citizen of the US. This proof may be a birth record, baptismal record, passport, Certificate of Citizenship, or Certificate of Naturalization. Often, native born US citizens will be allowed to enter Canada with just another photo identification document, like a drivers license, because the officer believes an oral declaration of US citizenship. A voter registration is NOT proof of US citizenship for legal reasons too lengthy to be of concern. Do not be shocked when an immigration officer tells you that after you present that document. Evidence of the reason for your travel to Canada may also be requested. If you are a tourist, explain where you will travel, for how long, and be ready to show any advance reservations for your stay. If you are a business visitor, state what the nature of your business is, where you will go, what companies you will see, and be ready to show any letters from prior contacts with those companies. If you are entering for employment purposes, you should have done your homework and have the necessary papers preapproved, or be entering under the NAFTA Trade Agreement. You do not want to be caught unprepared at the border and be refused admission or even arrested in extreme cases. None of this is to say that you will need to actually present any documentation of these things. Oral declarations will sometimes be sufficient. But you should be ready, if asked. NOTE: always carry photo identification with you. For more complete information of entry rules, employment, customs regulations, you may wish to visit the Government of Canada site. A Permanent Resident or holder of the immigration “greencard” needs to present a valid card to the Canadian authorities when trying to enter. Other than this fact, you will be treated just like a US citizen and expected to produce the same proof of travel reason. Many of your questions can be answered on the websites listed or through an extensive touchtone retrieval system of the Canadian Embassy at (202) 682-1760.